What is your latest book about, where can we find it and how long did it take you to write it? 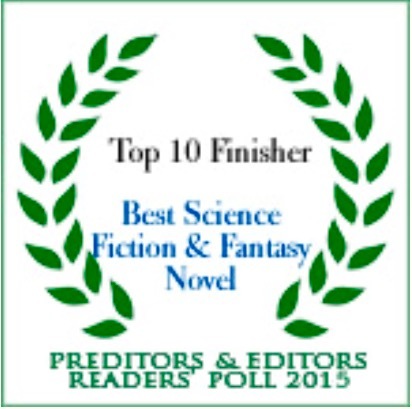 My latest book is called ‘The Scion’ and is SF novel in the Space Opera tradition. When I started writing this book, it was my intention to write a gothic SF novel. However, I was having a lot of fun and some of my humour also crept in, which offset the bleakness. Nevertheless, those who have read it tell me that it is pretty dark in places. The plot concerns a young man called Septimus Esterhazy, an aristocrat, who lives in a penthouse on an island called Kennet; he has little to do, so whiles away his life as a part time DJ (or at least a future equivalent thereof). When we meet him, his best friend Persephone, is dying. But not is all as it seems. Odd things then begin to happen: a blue star appears above his home planet, his cousin is kidnapped and then he begins to be followed and evenutally attacked by some odd creatures. He is oblivious to the fact that the universe’s very nature is being threatened by a powerful alien race, called the Wraith. Nor does he know that he is somehow involved with why they are coming. In a separate thread, the self-proclaimed ‘Protectors of the Known Universe’, the Sassrit, are trying to do everything they can to thwart a Wraith attack. But time is running out for them and resources are stretched. A Sassrit agent, one of the shapeshifting Jarthiala, is subsequently recruited to help. The path he follows leads to the doorstep of a planet called D, an Earth colony, above which a blue star hangs, its light reflected in the eyes of Septimus below. As the threads begin to weave together, Septimus has to go on a journey which will change him forever. It will make him question his nature. He will uncover secrets about his family that have lain dormant for years. And it will test the loyalty of those closest to him. The book can be found on Amazon here. I wrote part of the first chapter in 2007. This seems like a long time ago, but I have lots of first novel chapters lying around which either get used in shorter works or just sit in my computer’s hard drive, awaiting resurrection. For some reason, I was quite taken with Septimus and his friend Persephone and wanted to find out what happened to them as characters (I knew the overriding story arc). So I wrote their story. Most of the book was written in 2010 and 2011. Then came various edits. I called a friend, Liz Williams, to ask if she’d have a look. At the time I wasn’t even sure if it was any good. Anyway, I drove over to Glastonbury and we met in her ‘office’ – the back room of the George and Pilgrim pub. She read it, seemed to like it, made some suggestions and a while later I sent it to Safkhet. It wasn’t so much an inspiration as a calling. I have to write. This may sound a bit clichéd but it is unfortunately true. If I don’t get some words on a page almost every day, then I simply don’t feel complete as a human being. Words have been with me from a very young age. My mother gave me ‘The Odyssey’ and ‘Brideshead Revisited’ to read when I was five years old. So maybe I blame her. I don’t have a single favourite author, but I have many I love and look forward to reading. In the SF world, Alastair Reynolds and Paul McAuley are probably top of my list of living SF authors. The late Iain M. Banks, who I had the pleasure of meeting on a number of occasions, features prominently in the other list. In the non-SF world, I am a huge fan of Haruki Murakami, Paul Auster and Julian Barnes. Justin Cartwright is also fantastic, and for some inexplicable reason, is much overlooked. Three complete SF novels. And another using chunks of one of these which was given a fictional slant, but which was semi-autobiographical, overly self-interested rubbish. 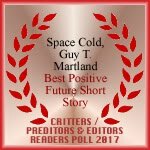 I have also published numerous short stories in various places, such as Perihelion SF, Albedo One, Encounters Magazine, Shoreline of Infinity and Fiction Vortex (full bibliography on my website). I’m currently in the process of editing one of the above novels, ‘Machine Songs’, with view to sending it off somewhere. This is about a future Earth overrun with alien growth, but one which still harbours some interesting drone tech. 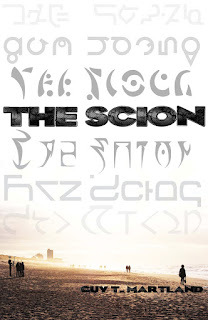 I’ve also started writing a sequel to The Scion as well as a standalone SF medical dystopian piece. In addition, I’ve got a few stories I’m working on which I hope to get out into the world soon. Read and write as much as you can. I’ve found critique groups can be helpful, such as the Milford SF conference. But really, you have to sit at your desk, and grind the words out. Writing takes time and a lot of effort, with a huge dash of patience thrown in. When I first started out I wrote to Paul McAuley asking him this very question. His reply was along the lines of you either are a writer or you aren’t. Make of that what you will. Tell us about about yourself? I live on the South Coast of England, a stone’s throw from where Robert Louis Stevenson wrote ‘The Strange Case of Dr Jekyll and Mr Hyde’, and not far from where Mary Shelley is buried. When I’m not writing, I work as a hospital pathologist and play a 19th century German violin (but not at the same time). At 6 foot 8 inches (2.032 metres), I am possibly one of the tallest living SF writers. 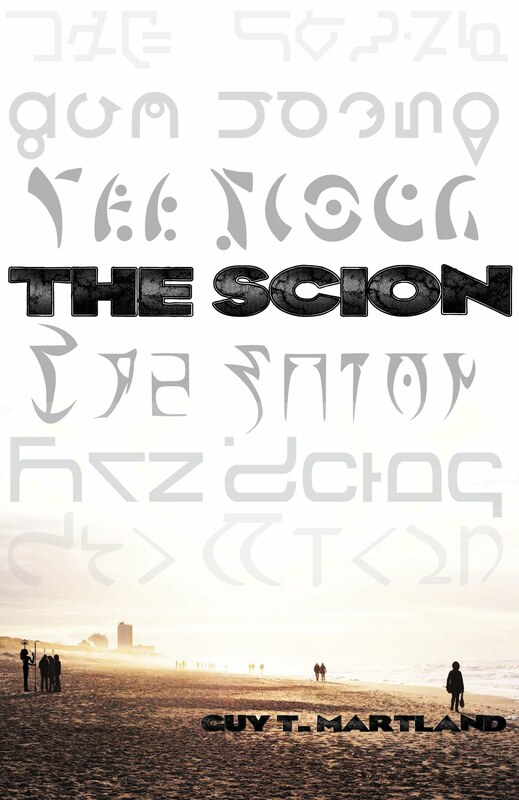 I hope everyone who reads ‘The Scion’ enjoys it as much as I did writing it. Thank you for interviewing me!